There are few things in this world that are quite as important as your teeth. We all want to be able to greet the world with a winning smile. It would be impossible to enjoy some of life's greatest pleasures without our teeth. A crisp, juicy, red apple, a grilled steak, a freshly picked, boiled, and buttered ear of corn, they all lose their appeal if your choppers are not in good working order. The earliest surgeons practiced dental surgery (they also gave haircuts, in ancient times barbers performed surgeries). Back then, when a tooth was aching the best and most obvious solution was to remove the tooth. Of course, this meant that the patient had to decide whether it was better to deal with the discomfort of an achy tooth or to suffer the pain of having the tooth ripped from his mouth. Maybe it would be better to just get your hair trimmed while you are thinking about it. 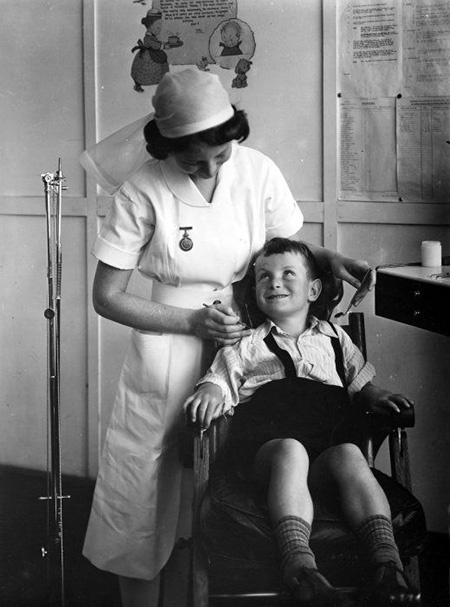 The dentist is in a difficult medical position because he has a reputation for causing nearly as much pain as he relieves. However, we cannot deny that their services are necessary. On The Adventures of Ozzie and Harriet, going to the dentist doesn’t seem quite so bad because the Doc hired a very pretty receptionist. Red Skelton is determined to get to "the tooth, the whole tooth, and nothing but the tooth!" while Slade Shannon and Sailor may have stumbled onto a fortune in gold used by a dentist to fill cavities. It is unfortunate when the only way to cure a sore tooth is to remove it, but nearly as bad as the pain is the knowledge that your smile just is not going to look right after the procedure. 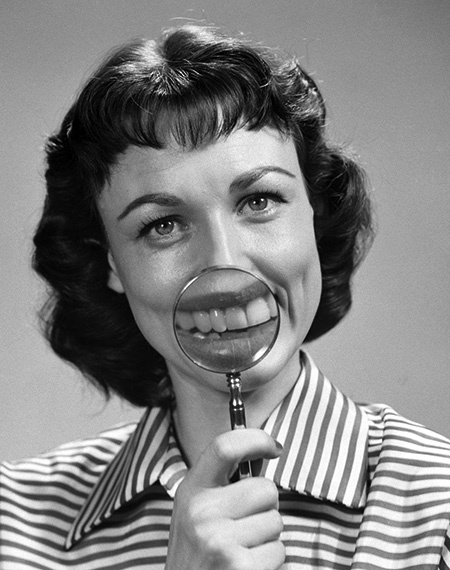 There have been false teeth nearly as long as there have been dentists. Some are less skilled at creating dental appliances than others. Some of history's most famous false teeth were George Washington's, and the Founding Father's choppers are discussed on The Jean Shepherd Show and Town Hall Tonight. One backwoodsman on The Challenge of the Yukon thinks so highly of his dog that he has the dentist create a gold tooth for the pooch.The scariest part of false teeth is not how they look, but how easily lost they are when they are taken out of the mouth, just ask Vic and Sade after they have to look for poor Mr. Grumpox's teeth. "False" teeth might be a way to create a false impression of beauty, but teeth can be a valuable resource for law enforcement in discovering the truth. Dental evidence has been regularly used to identify bad guys and their victims. This has been important for solving cases on Mr. District Attorney, Gangbusters, The Green Hornet, The Challenge of the Yukon, The Saint, Calling All Cars, Suspense, and Dragnet. There are fantastic stories of "Superteeth" where the elements of a smile as used as almost supernatural tools. "The Green Dragon" story arc on The Adventures of Superman has the Man of Steel tracking the Dragon's Teeth which may hold the secret to eternal life. Hop Harrigan helps an Allied Spy who has secret information hidden in his teeth. On The Adventures of Sherlock Holmes, the denizens of 221B Baker Street investigate murdered sheepdogs who were bitten by human teeth. We get to hear of "The Man With Steel Teeth" in a chilling episode of Escape. My dentist used to play old time radio in the lobby. This collection is great.